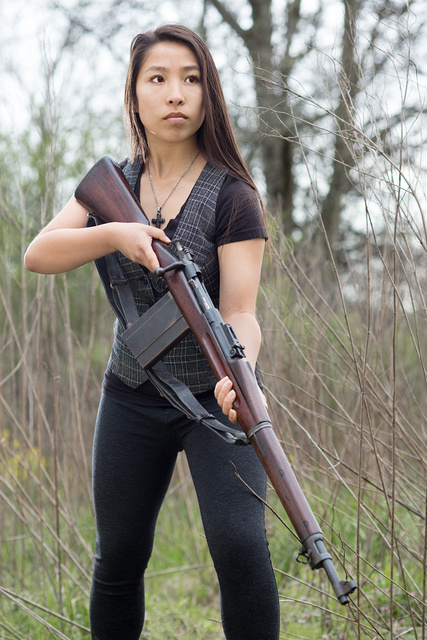 This entry was posted in interesting people, portrait, rifle and tagged 30-06, bolt action, M1903. Bookmark the permalink. 9 Responses to M1903 with a 20-round magazine. So who does this conversion? That reminds me very much of the Mauser anti aircraft 20 round mag from WWI – is this a conversion of one of those? Looks like a retrofitted BAR mag. That is a 2000++ dollar a pop M1917 “Air service” magazine. One of the rarest military collectables on earth. Only a few hundred were ever made for WW1 aircraft observers. The weapon was a horrid failure in combat. The magazine is fixed to the weapon and almost imposable to reload with stripper clips (the only way TOO reload). The idea was to arm the aircrews with a “sporterized” cut down M1903 with that magazine. They were ordered into production without testing. Once the Army brass realized how unworkable the magazine/rifle combo was, they VERY quietly killed the idea and put the few that had been manufactured into storage, until they were sold as scrap in the 20’s or 30’s, and the rifles all converted back to standard “03’s”. Few remain today. Its a nice toy for the rich, but has no practical application. In the US Army book “Rules for the management of the Rifle Cal. .30 M-1903” it calls o-600 yards “short range” 600-1200 yards “mid range” and above 1200 yards “long range. With exact ordinate and data tables for indirect fire. They were used in mass fire drills to create “beaten zones”. The job taken over by the machine gun. Here’s one at Rock Island Auctions, complete w/25-round mag, incorporated into a Cameron-Yaggi sniper’s mirror-operated trench gun. There were only a tiny number of experimental “Trench Sniper” rifles made. They never went into production and never saw actual service. That was the only model to use the air service magazine. There are only about six or seven known examples of any and all models of the “trench sniper”. I’m amazed that didn’t bring more at auction.